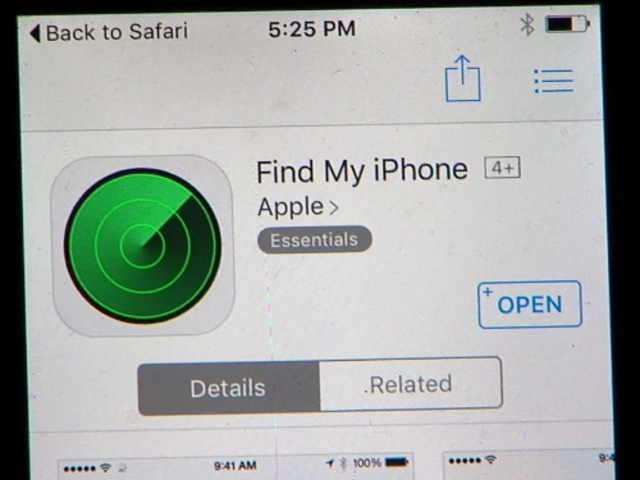 Cleveland police used a smartphone app to track down a dangerous armed robbery suspect, using the app to home-in on a stolen iPhone. Police told newsnet5.com they were able to arrest 26-year-old Justin Ramos of Walton Hills without incident after tracking one of the smartphones he allegedly stole to a home on West 20th Street. Officers used the free 'Find My iPhone' app to locate the suspect less than an hour after he allegedly robbed three teens at the intersection of Fulton Road and Delora Avenue, in Cleveland's Old Brooklyn neighborhood. Cleveland Police Commander Tom Stacho told newsnet5.com the suspect has a long record of criminal activity. "These kids were 16, 17, 18 years old that were confronted by the male," said Stacho. "He made some small talk with them, walked away, then came back and ordered them to empty their pockets. "They thought it was a joke at first." Stacho commended Second District Patrol Officers Tony Gonzalez #112 and Christian Stipkovich #40 for their quick thinking in using the smartphone app to track the suspect. "Technology is playing a big role in policing everyday, more and more everyday," said Stacho. Police report all the stolen items, including wallets and a backpack, were recovered from the suspect's vehicle. Police said Ramos is facing charges of armed robbery, theft, and carrying a concealed weapon.